A NEW Way to Buy Clarinets! Almost a year ago, my wife and I were having lunch at our favorite restaurant, when my phone dinged. I received an e-mail saying that Hans Zinner & Co would be closing their doors in just a few weeks! I had been their customer for 20 years, using their superb blanks as a base for all my mouthpieces. This caused an immediate quandary: What would we do when my stock of blanks was used up? Should we look for another blank maker? Produce our own blanks? Retire? As you can imagine, we had quite a lunchtime conversation! Well, after months of research and study, I am proud to announce that I am now producing my own mouthpieces from my own blank designs. I call them the Grabner HiTech Clarinet Mouthpieces, and they are available for all clarinets from E-flat through contra bass. My mouthpieces are produced using cutting-edge, 21st-century technologies. They are designed using CAD software and realized through very high-end 3D printing. The designs are traditional with subtle improvements that meet the demands placed on the 21st century clarinetist. 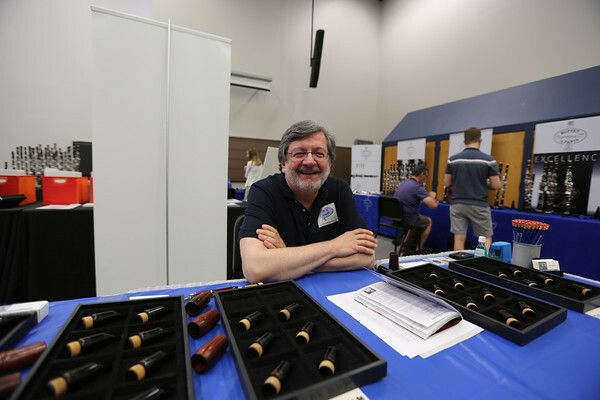 The Grabner HiTech Clarinet Mouthpieces had a great kickoff at the University of Illinois at Urbana-Champaign Clarinet Day, and are now available to order from this website. See below for ordering instructions. Shipments will begin on April 9. P.S. - I have been asked several times why I chose 3D printing for the manufacture of my mouthpieces, and about the material I selected. Click here for a little bit more information. Walter. I just wanted you to know this mouthpiece (S2MO) is great. I tried a couple of other reeds on it (at home) ........and it played better than ever. I think you are indeed on to something here!!! - Howard Green, prominent Chicago area clarinetist. I have some Zinner-based mouthpieces available. The table below will tell you what Zinner-based mouthpieces I have left, and tell you what new model replaces them. If you want to order one of the few remaining Zinner-based mouthpieces, click on any of the remaining underlined links in the first column. In the third column, you may click on the links to get the description of, and to order, my new Grabner HiTech Mouthpieces. If you are not familiar with my old mouthpiece naming nomenclature, Click here, and you can select the new Grabner HiTech Clarinet Mouthpieces by function and pitch. Then you can browse in your category, until you are ready to drill down to your special selection. These high-end barrels are made of a wide range of materials, using CNC and/or 3-D printing techniques. They are made to order based on your needs. 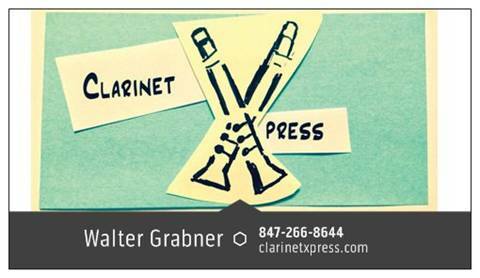 Grabner clarinet barrels - Impeccable intonation, smooth and easy attack, and focused throat tones. I have limited quantities available in 67, 66, and 65 mm. It has been out for three years now. With its dark, bold, rich tone color, it is a proven winner. I have sold hundreds! Available in one facing, medium open. See table above for availability. I have a large batch of new R13s in silver and in nickel. If you are looking for a great new R13 (or Festival), click here, or contact me. 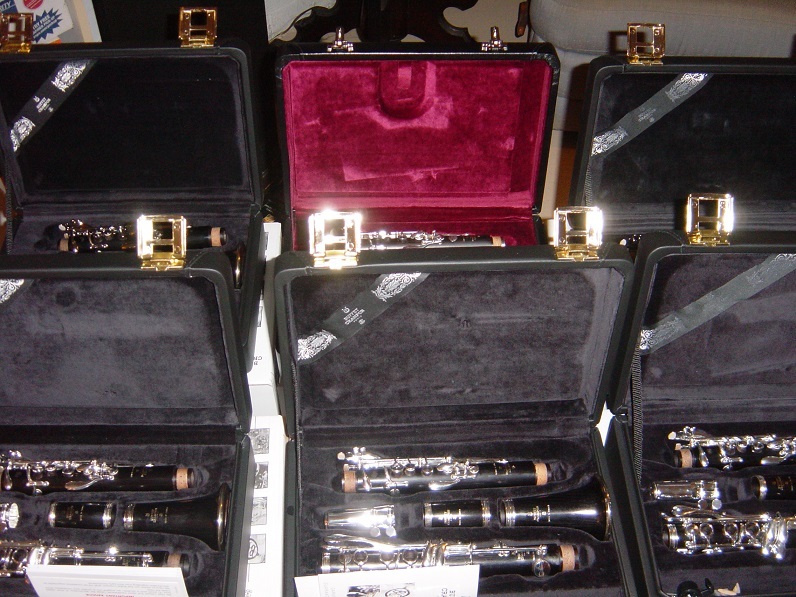 These clarinets are all prepped and ready to go. Give me a call - 847-266-8644!